This week: This time, I think about the importance of clearly stating a player’s goals to provide a guideline during a playthrough. Some weeks ago, I started playing Eco that challenges a player with the task to save the world from a threatening meteor. This task requires the player to gather resources and to research new technologies. However, the more advanced the technologies become, the higher is their impact on the ecology. Thus, Eco demonstrates how the player’s activities lead to a potential pollution of the environment and, as a result of this, players might learn to be more thoughtful about their actions and activities in the real world. However, despite this very interesting concept of the game, I encountered the problem that I suddenly felt lost. The game provides me with a broad variety of researchable technologies and activities to increase my quality of life inside of the game. Unfortunately, the current version of the game does not provide me with a clear list of things I have to achieve to make some progress. Also, many things and activities seem not well enough explained thus causing some confusion about the effects of my actions. 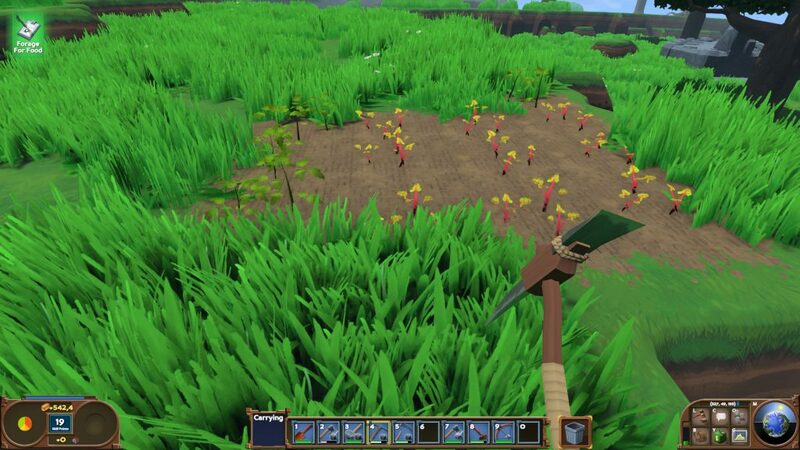 For instance, I created a small farm area, but there are no signs that my farming attempts are going into the right direction of if I need to provide additional infrastructure to grow my crops. As a result, I can merely guess that I need to somehow unlock new skills to have more abilities allowing for an improvement of my farming activities. Things are even more complicated for the current skill tree that allows me to unlock and improve new actions inside of the game. However, as the structure of the skill tree seems rather confusing, I am frequently unsure, if my choices are going into the right direction. Of course, there are plenty sources for further information on the internet, but as a player, I prefer to stay within in the boundaries of the game instead of switching to my web browser to research how I can achieve a particular thing inside of a game. 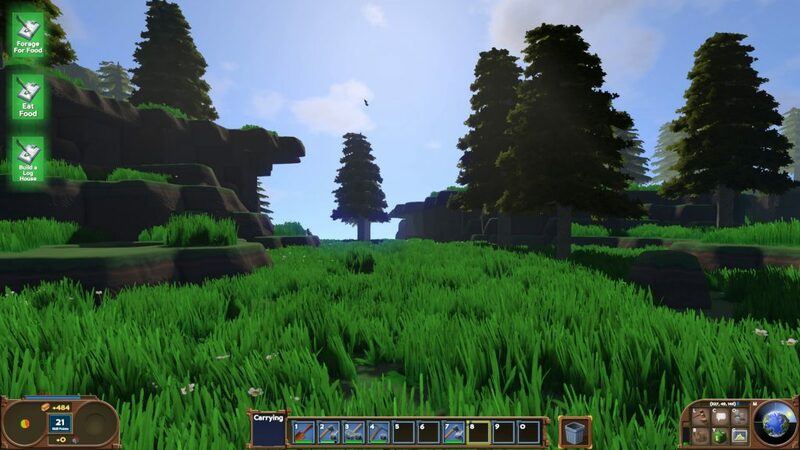 Personally, I enjoy games like Eco that provide a very complex simulation with a great amount of different variables that create a very dense world. However, as long as a player does not exactly know how things can be achieved, the gameplay of those complex games can be also quite frustrating. In the end, Eco is still in development and many things will be improved over time. In this case, this is not an article about the issues of the game, but more an article discussing the lessons learned and the importance of of game design decisions that might be helpful for new game designers who like to create advanced virtual worlds. This week: This time, I think about Eco which makes environmental problems caused by a high degree of pollution to a central gameplay element. As a result, players directly experience how their own actions potentially lead to a destruction of a pristine environment. Rising awareness for global problems that can arise due to too much pollution is an important and critical goal these days. For instance, the ongoing rapid climate change can be contributed to the man-made emission that drastically increased over the period of the last century. However, it often is difficult and easy to overlook how our actions and lifestyles are contributing to this global problem. Therefore, it is critical to educate people about the global and ecological problems we are facing. In addition, it is very important to connect this education to their very own actions. In this way, the education would be even more effective as it potentially achieves a general understanding that everyone has to take actions. One possible solution to this problem could be to embed this ecological education in a computer game. Just today, I bought the computer game Eco that tries to educate players about environmental problems by making them to a core aspect of the gameplay. At the beginning of Eco, each player starts in a pristine environment that faces a fatal fate: a meteor is approaching the player’s planet and will destroy it. Hence, players are challenged to find a way to save the world by researching new technologies that can stop the meteor. This, however, comes at a high price because they need to gather resources from the world to achieve this goal. For this purpose, players can, amongst other things, chop down trees, farm crops and build advance mining system. At the same time, by interacting with the environment, they leave behind traces and potentially even change the entire environment. By chopping down every tree, habitats of specific animals might get destroyed which ultimately results in their extinction. Advanced mining systems produce polluted water which, when it is dumped into a river, can pollute an entire region. As a result, players are challenged to carefully think about how they will interact with the world to ultimately stop the meteor. The game even is designed to be collaboratively played by larger groups of people. Hence, the game can be implemented in schools thus allowing for a more immersive discussion and education about ecological problems. The multiplayer aspect is combined with a political system where players can try to negotiate agreements that limit emissions and reduce pollutions. By connecting the potential pollution of the virtual world to a player’s actions, Eco creates a special educative gameplay. While playing the game, players not only see the effects of polluting a pristine environment, but they also make the experience of being responsible for these problems. As a result of this, Eco helps to rise a global awareness and to start further discussions about our own actions and new technologies that can save our pale blue dot.